Ah, sunshine at last, and a light at the end of the tunnel, have given me renewed optimism that we will be, within a couple of weeks, back on the road in the RV, the Suzuki Boulevard on the trailer behind. It’s been a very long winter and spring, full of family crisis that have left us exhausted. Up until yesterday, the latest one threatened to put life as we know it on long-term hold. Thank goodness for our mini-vacation in Las Vegas in February that gave us time for a bit of regeneration before the next storm. Today, a couple of hours puttering in the backyard and soaking up the sun recharged my battery. 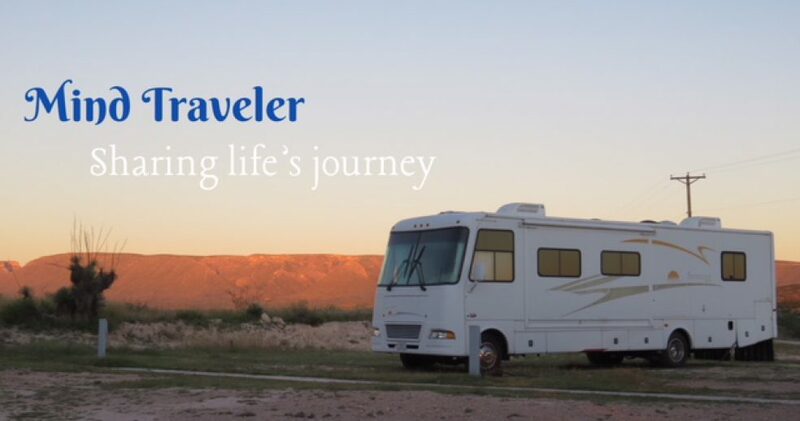 I’m hopeful that I’ll have some interesting travel stories to share very soon. In the meantime, I did manage to complete another memoir, this one for my uncle, and I started a new blog on that theme, Unfolding Our Past. Hope you’ll take a look. 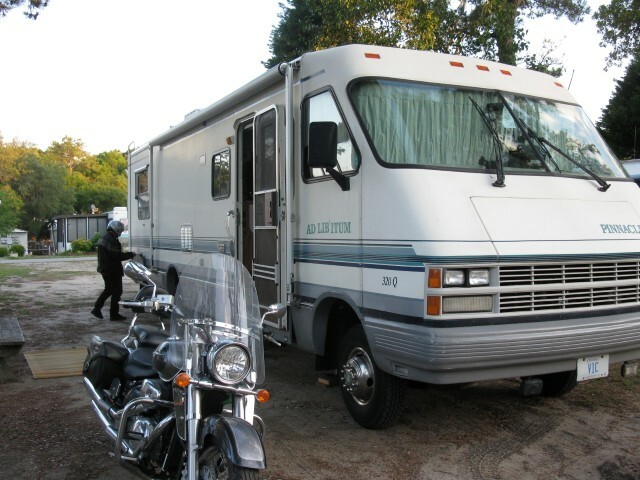 This entry was posted in Challenges, Mind Traveling, Motorcycling, RV Travel, Travel and tagged Memoirs, RVing, travel. Bookmark the permalink. It is the best of both worlds, for sure. Not sure I’d recognize you if we met on the road, but who knows. :)Safe journey to you too.